Dr. Dianne Quibell, MD is a World Renowned Cosmetic Laser Surgeon, Internist, and Aesthetic Physician. She is the Vice President of the American Board of Laser Surgery (since 2008) and a Fellow of The American Society for Laser Medicine and Surgery. Dr. Quibell has lectured nationally and internationally since 2001 and is also Assistant Clinical Professor of Medicine at Harvard Medical School. She has privately trained over 500 clinicians in aesthetic laser procedures, neuromodulators like Botox or Dysport, dermal fillers, and laser assisted lipolysis. She teaches over 25 courses a year in the same fields. Dr. Quibell is originally from New York, but she has demonstrated her loyalty to Boston by becoming a Red Sox fan! She enjoys helping people identify their signature features to optimize and enhance their unique, physical beauty. Dr. Quibell takes your cosmetic concerns seriously, and will work with you in a team approach to help you achieve your cosmetic goals. She has a history as a makeup artist with full training in the field. 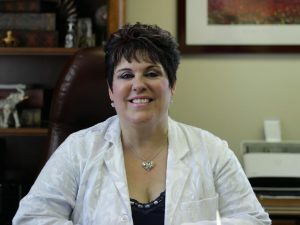 Her knowledge of cosmetics combined with facial anatomy gives her the background needed to properly rejuvenate and recreate physical structures lost in the aging process. Dr. Quibell is very interested in fitness and wellness, but admittedly enjoys cooking and eating even more! She has a particular passion for cooking Italian food for her guests. Dr. Quibell has had every treatment we offer at MD TLC done to herself and can confidently attest to our procedures and results. Never miss out on exclusive news and education. © 2018 MD TLC of Wellesley, MA. All Rights Reserved. Website by Urge Interactive. * Individual results may vary, and not guaranteed. Photos may represent models.